AccessPoint-Controller is a nest controller card that is inserted into a dedicated slot in the AccessPoint-Nest (DPX- 300 nest). The controller card is used to provide complete system management in conjunction with the nest management software (AccessPoint-Manager). It also provides enhanced network access features to the installed AccessPoint-Nest cards. Designed and built by Dataplex in Australia AccessPoint-Controller can manage all system components of the AccessPoint family of products, providing both SNMP and serial based access. The Network Manager can access management functions simultaneously from the network (SNMP), or serially via a locally or remotely attached serial device. AccessPoint-Controller provides TELNET terminal server and remote node network access functions to client cards. AccessPoint-Controller incorporates a powerful processor and 16 serial ports to service the DPX-300 client cards in the nest. Non volatile storage permits permanent storage of user parameters, operating code and other important information. The AccessPoint-Controller device connections are serial and therefore the controller may communicate with each device in the nest at high speed. AccessPoint-Controller can replace the normal DTE connection for TELNET and remote node services. The remote boot and program loading feature allows applications to be remote booted and loaded off a network file server. This is ideal in those circumstances where a user has a number of nests and requires that all AccessPoint-Controller cards access the same executable image stored on a network file server. Network accessible management is via the industry standard SNMP protocol. This is accessed through the integrated 10-Base-T Ethernet port. This allows the client cards in several nests to be managed by a SNMP management station. 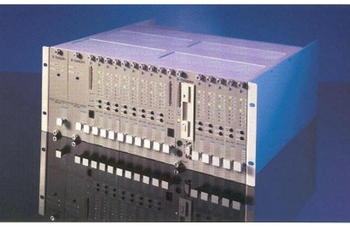 The SNMP management function uses a Dataplex supplied modem MIB. The AccessPoint-Controller card provides TELNET terminal server functions to the devices in the nest and permits dial-in and dial-out access to/from TELNET clients on the network. Remote node access is provided by network cards housed in the nest. This is accomplished using the industry standard PPP protocol. Dial modem pooling is also available via INT14 support to allow DOS and Windows users access to network pools of dial modems. Since the AccessPoint-Controller is based on the industry standard PC architecture it is capable of running standard operating systems in addition to the dedicated management application. With its optional storage module, advanced applications can reside on AccessPoint-Controller allowing it to perform as a Front End Processor. 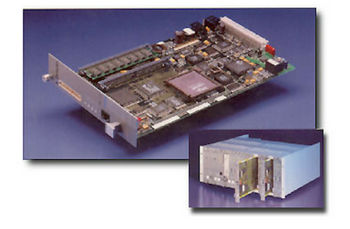 Manufactured under an IS0-9001/AS-3901 quality control system, the AccessPoint-Controller card offers an advanced design with low parts count for maximum reliability.